IDDRIS SANDU is on another level, developing concepts and embedding them into the cultural conversation. The 21 year old – who describes himself as simply an architect – already has Google, Instagram, Snapchat and Uber on his resume. 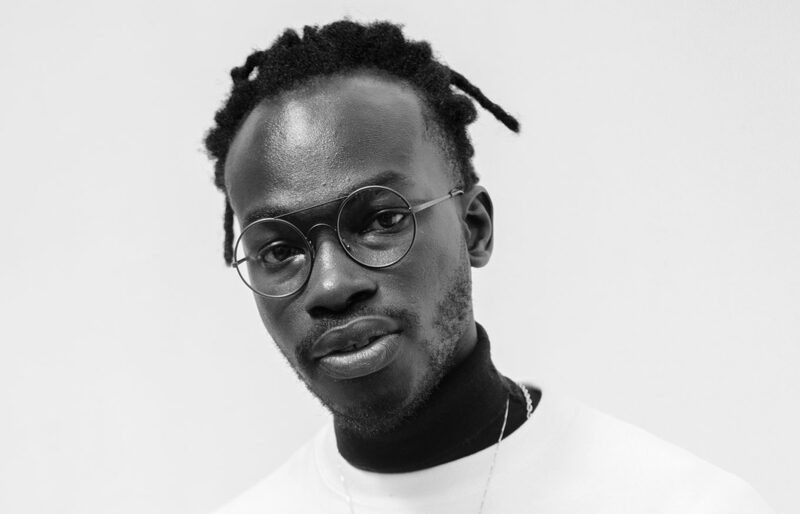 The Ghana-born visionary is currently teaching a class on design at Apple, making Iddris the youngest person ever to host a ‘Today At Apple’ session. Iddris has also partnered on projects with Jaden Smith and the late rapper Nipsey Hussle, for whom he created The Marathon Clothing, a “smart store” in Los Angeles that gives customers exclusive access to content by opening an app when at the storefront. AC: How can music artists embrace holograms? IDDRIS SANDU: Well I think the music industry has already embraced holograms, it can start with the introduction of technologies like augmented reality. Which I like to think of as tier one holograms. You used geo-fencing to create a “smart store” with Nipsey Hussle. We’ve seen similar technology used by Snapchat with geo-filters. How else can you see geo-fencing being used in the music industry? My truth is feeling geo-fencing can be used to address several of the issues that are currently faced in the music industry. Geo fencing is the same concept as region locking. Due to the over-saturation of music content within the music industry, artists are faced with the challenge of supply and demand as well as figuring out how to create unique experiences for their audience when they release a product. I like to think of music distribution in the same breadth as you would think of the different mediums of painting in art. With art, we have painting mediums like acrylic, airbrush, pastels, abstract and so on and so forth. Each and every single different medium of painting creates a different image, it is used to invoke a certain message and tells a different story. But currently, the distribution of music is very centralized. Think of that as only having one medium of painting on a canvas. Yes, you can draw and paint using the given medium on this canvas, but there are several other mediums which can be unlocked to take your painting to another level and even give you a more diverse range of control and creativity. That’s what Nipsey and I understood. We created another medium to paint on this infinite canvas; another way to skip the norm and to be able to distribute music and go direct-to-audience with his music. Most importantly, we preserved the art and authenticity. It was like making this masterpiece that required you to go to the Louvré to experience and see it. But in this case, the Louvré was the Marathon Store that lives on Slauson and Crenshaw. Will digital experiences become a new revenue stream for artists? Absolutely. I feel like the challenge that everyone else is tasked with is sort of figuring out the profitability aspect. We figured out what worked for us at that time. We figured out the hidden ways and made them known, but we must continue to look for different ways to converse the digital experiences with the physical. You did some consulting work with Snapchat a few years ago. Where would you like to see Snapchat go next? Snapchat with the filters understood what it meant to create with accessibility in mind. I would love for most tech companies to connect directly with the influencers. You know like the testers and the focus groups should be based on the influencers and not just their audience and consumers. How far away is Yeezy Sense? Yeezy Sense is an ever-growing, evolving project and way of life. It is nothing and everything at the same time. It is the zero to one node. What has Kanye’s reaction been to some of the digital experiences you’ve created for him so far? We both have mutual respect and love from each other. One revolutionary creative to another. We both are growing together and exposing each other.